Hispanic Civil Right Leader and Retired Corrections Administrator. He is a Private Investigator. 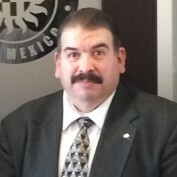 He was the State Director for the NM League of United Latin American Citizens (LULAC) from 2006-2010. LULAC is the oldest and largest Hispanic membership and civil rights organization in the United States of America. Mr. Martinez frequently writes op eds Hispanic politics and current affairs that impact the Indo Hispano community.